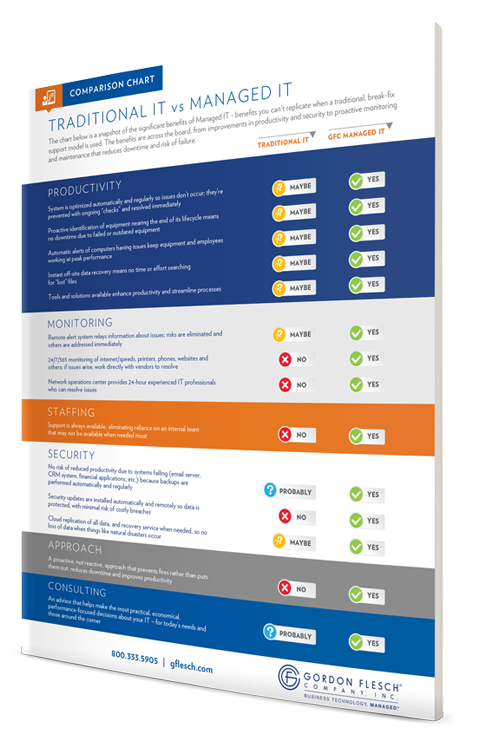 There are so many benefits to having an expert manage your IT that we had to put them into a side-by-side comparison chart! 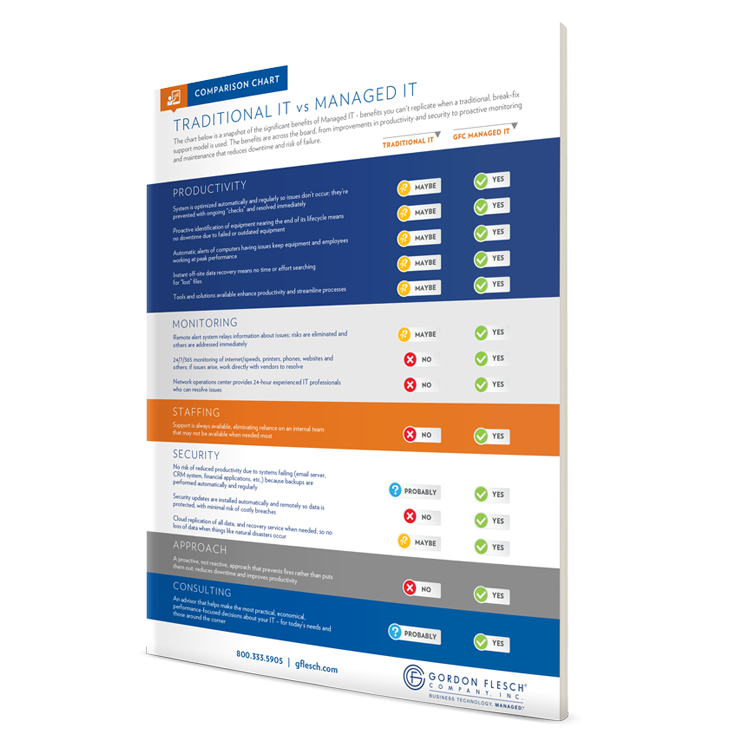 We’ve listed all the features and benefits of Managed IT Services and make direct comparisons to what you’re facing with Traditional IT efforts. What does this comparison reveal? To get all the details, download your free copy now by simply filling out the form. You’ll find that it’s a great overview for those thinking about ways to ensure the integrity of their systems while reducing their budgets.